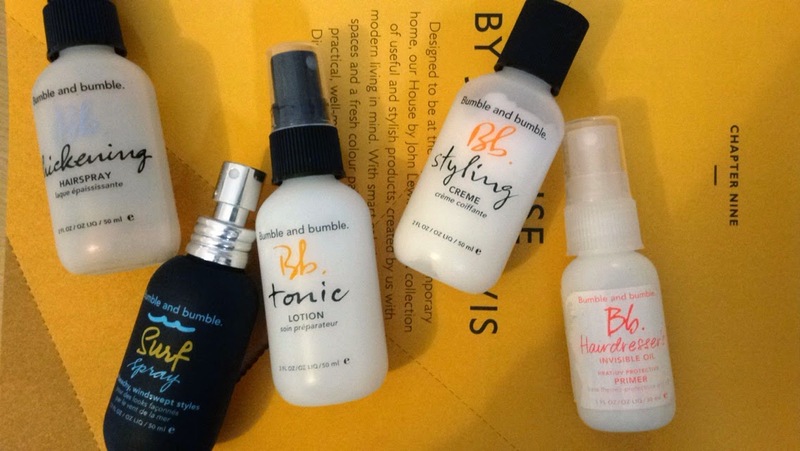 Bumble and Bumble is a premium haircare brand that is used in high-end hairdressers, and has recently found its place in the highstreet, in shops such as Boots. After getting their signature hairspray as a freebie in a magazine last year, I have developed a big soft spot for this brand, which is not-so-good due to the premium price tag. But - having spent a lot of time lusting over the website - I have found a few ways to get your hands on this brand without spending a fortune. First of all, look for the small size products. Some of the more popular products come in 50ml - 60ml bottles on the website and in shops, so you can give the product a go before investing in the full size ones. As some of the shampoos and conditioners can reach about £25 full size (jaw-dropping if you are like me and are very comfortable with spending about £2 on shampoo each month), I would say that the styling products are more purse friendly and would last a lot longer. 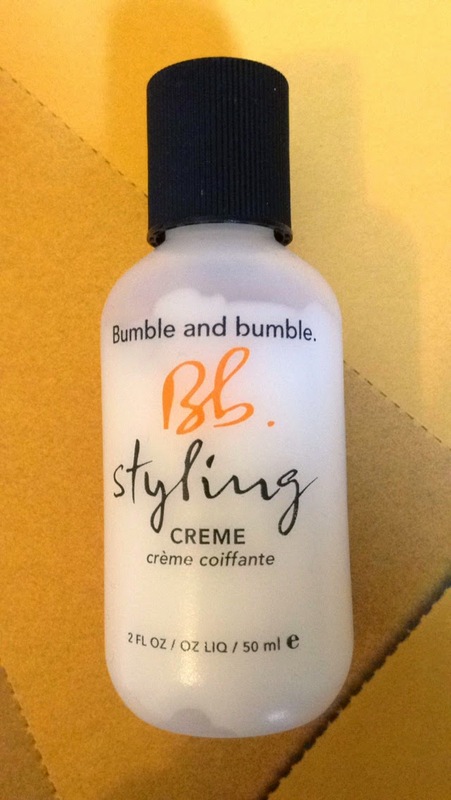 The Styling Creme is something I have started to use every time I wash my hair - the 50ml bottle is £8 (not too bad if you are getting samples along with it), and you only need a pea-sized amount to make an impact on your hair - it gives hair a bit more shine and defined waves. The Surf Spray is also one their cult products, I saw it last month recommended by a model in Elle magazine, and it helps to add some texture and beach-ness to hair. Make sure you don't spray it too near your roots though as it can give a frizzy, greasy look if overused! 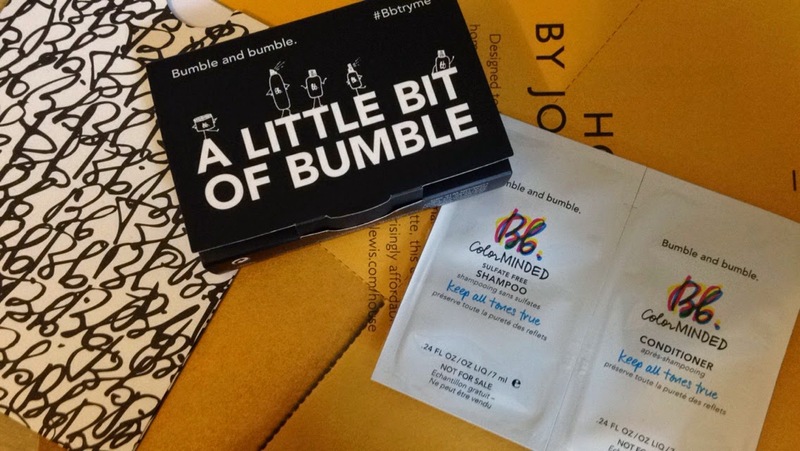 Secondly, with any order you place on the Bumble and Bumble website, you are guaranteed some samples along with your purchase. They reguarly have offers and voucher codes - at the moment you will recieve a free Thickening Hairspray (30ml) as well as some 7ml shampoo and conditioner samples with any order. Also, if you are in store and find yourself browsing at their different ranges, ask the woman at the counter for a sample. As you can see in the picture, I got a trio of three samples (the seaweed shampoo, conditioner and all style blow dry) at my local boots.